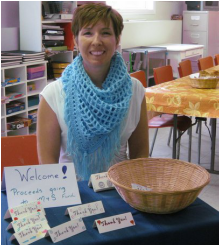 ​Sunday School Chili Luncheon Fundraiser: The New Maryland United Church Sunday School hosted a chili luncheon after church on Sunday, October 23rd, 2016 with proceeds going to the M&S fund. 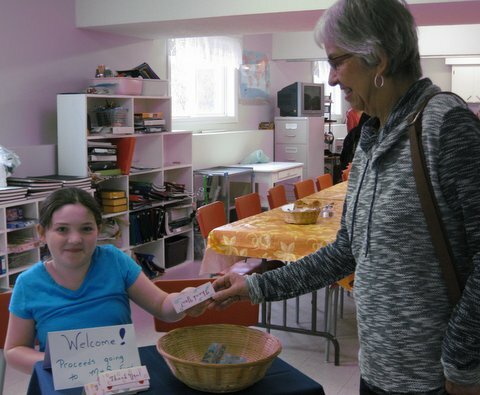 Emma Knorr receives a donation from Dianne Clowater. All donations from this chill luncheon will go towards the M&S fund. 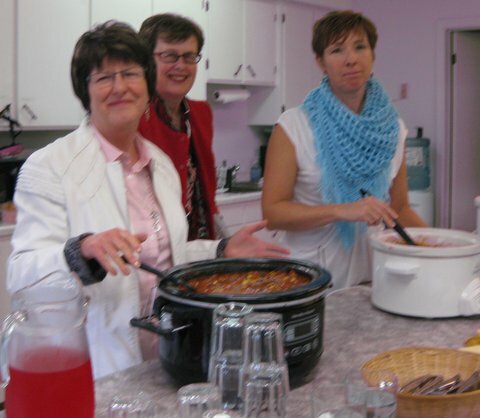 Linda Watson, Pam Campbell and Sheila Power tend to the chili pots at the chill luncheon. Sunday School Superintendent Sheila Power prepares for the chill luncheon. 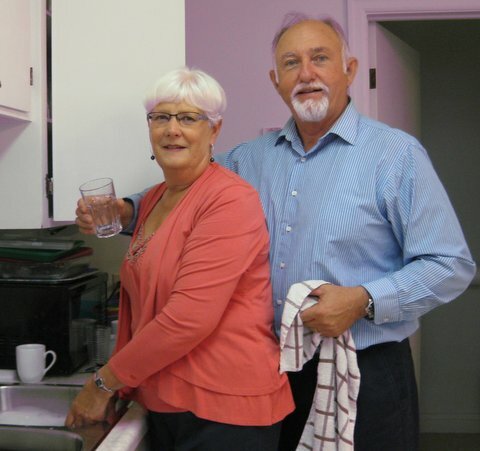 Lorna and Keith Ball help with cleanup at the chill luncheon. 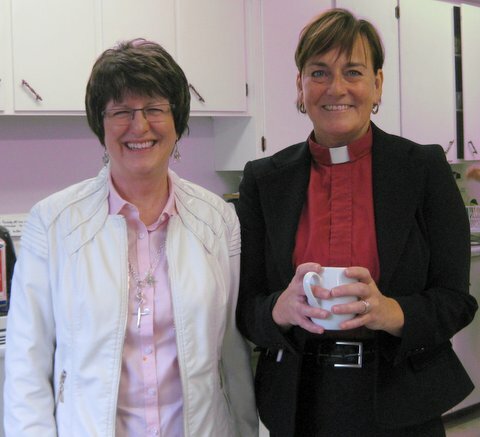 Linda Watson and Rev. Kelly enjoying a moment at the chill luncheon.